JENCI was created by Jennifer Couch. She grew up in a small coastal town in Maine. learning to sew as little girl by watching and helping her mother and grandmother sew items for the family Art and Craft Gallery. "It seems like I've been designing and sewing my whole life". Now an Akron Ohio resident, with a passion for recycling, what could be better than creating bags and purses from vintage clothing with a moth hole or perhaps an out of style cut! She also uses upholstery leftovers from her friend's slipcover shop that were destined for the trash. 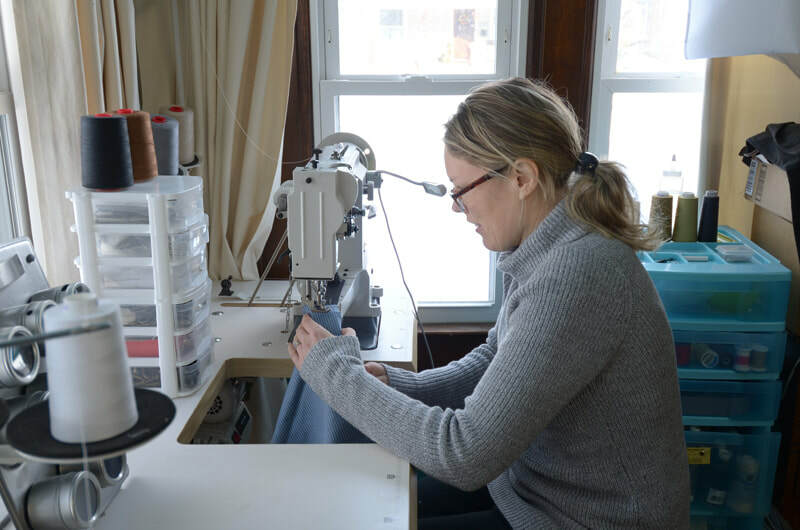 Clothes are gently deconstructed and re-sewn using her own original designs. Pockets are reused and original elements of garments are re-imagined. They feature leather belt straps, silk ties, and antique buttons. "Each piece is a puzzle, that has a story behind it, and that's what keeps me going." 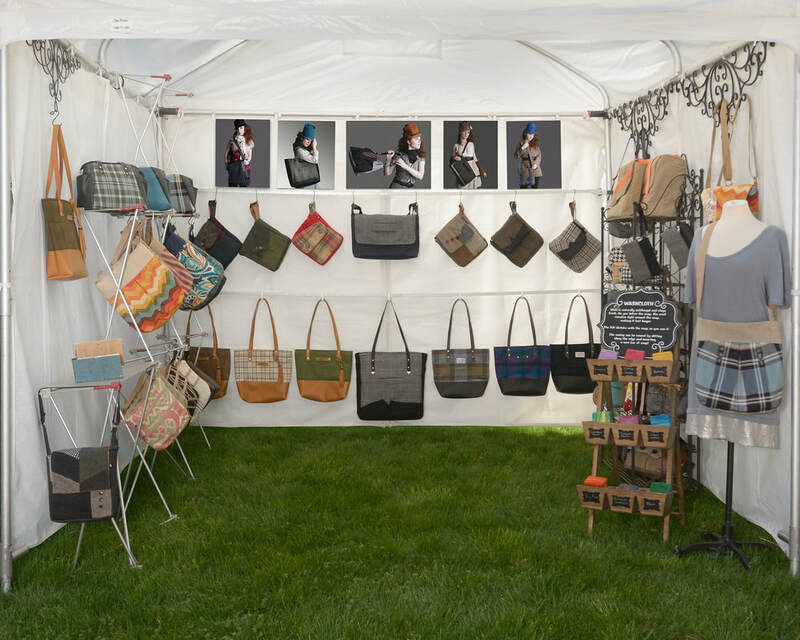 Founded in 2009 as Impressions Felt, we began making clothes and bags from vintage felted sweaters and selling them at art fairs. In 2011 we experimented with making bags from tweed wool jackets. 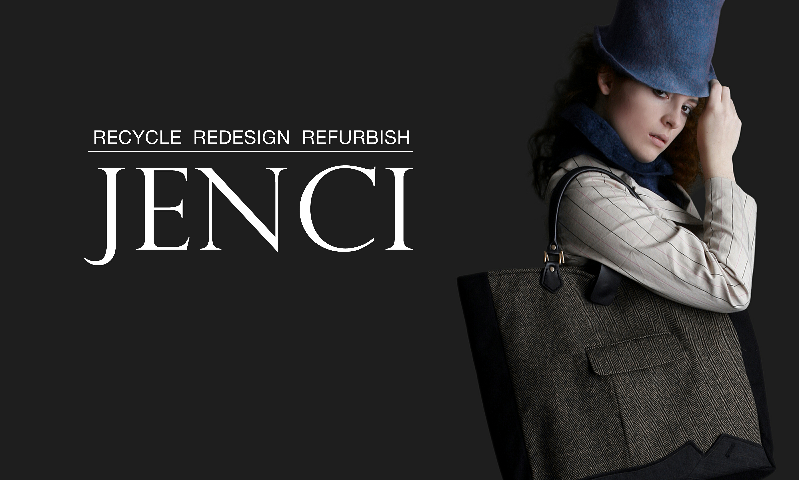 They were so well received that the entire business changed to just accessories and became JENCI. Since then this small company has continued to grow into the shop it is today.